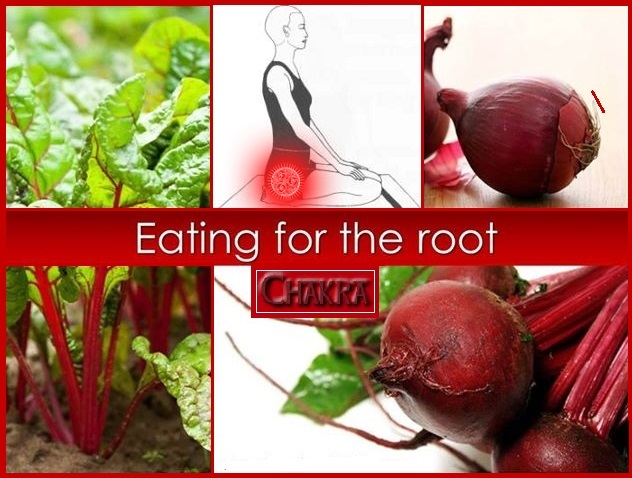 When we are feeling ungrounded, it is the best time to look at what foods will help balance our Root Chakra. Author Deanna M. Minich, Ph.D.,C.N. 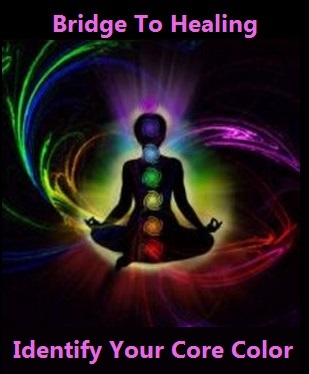 shares a great deal of knowledge about the healing vibrations of food in her book Chakra Foods for Optimum Health. 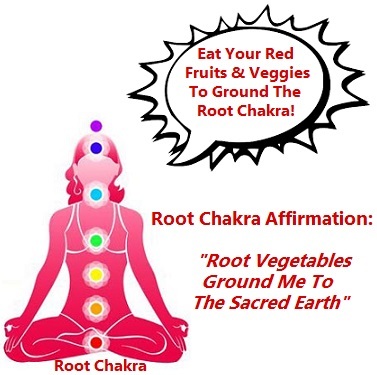 She points out that root vegetables transfer grounding energy to our body through the Root Chakra. Much like the conditions they grow in, root vegetables help us to nestle into our internal, lower core and become connected to earth’s vibration. 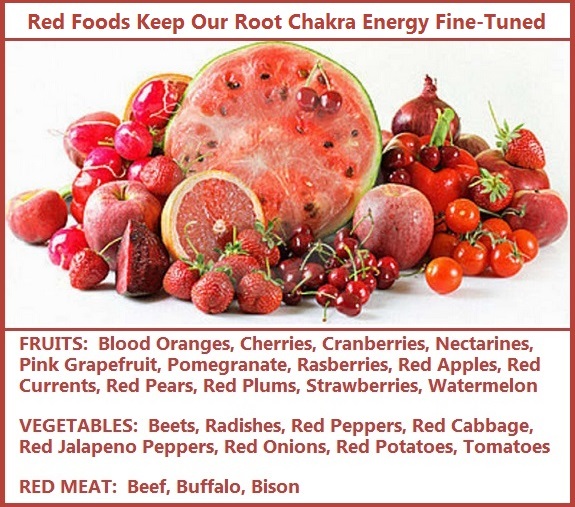 Even though the author points out that root vegetables and red meat are the most effective grounding foods, red fruits and vegetables also provide the vibrational rate needed to restore our ability to ground. 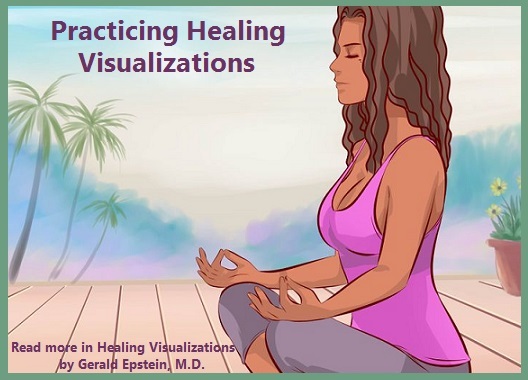 What is so amazing is that this vibration can be absorbed visually by both looking at red fruits and vegetables as well as physically consuming them. Remember when our mothers said to us as children, “Eat Your Vegetables”. 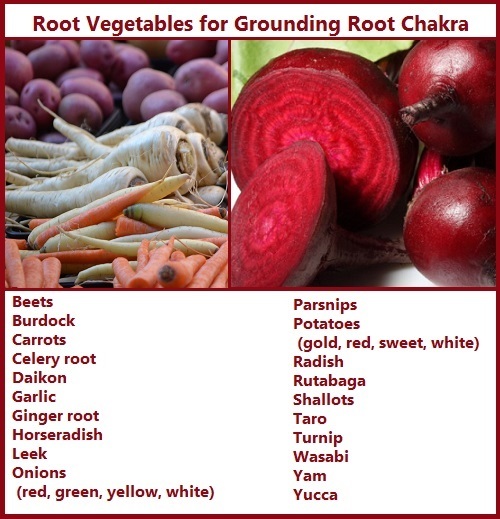 The author writes in her book, “If you are struggling with being grounded and feeling safe, eating foods to support these functions are beneficial.” She suggests that we incorporate Root Chakra grounding foods at every meal so that our daily, earthly existence feels complete. It is so fascinating to think about the vibrational energy of color. 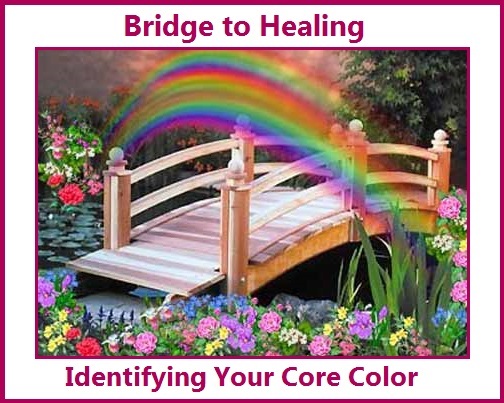 In the book Cell-Level Healing-The Bridge from Soul to Cell, author Joyce Whitely Hawkes, Ph.D., shares about our Core Color. 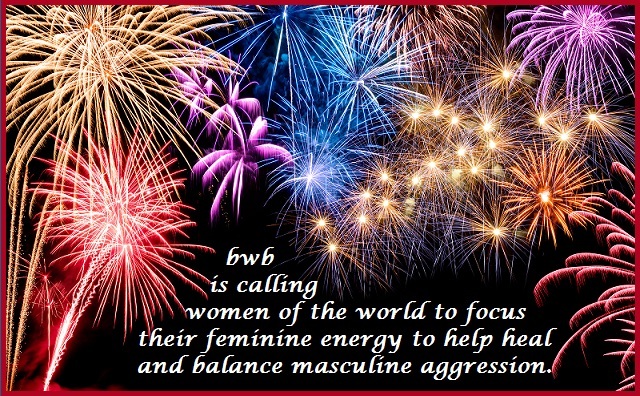 She describes it as a beacon of inner light that is one of the sources of healing for our cells, translating the frequency vibrations of health to the body. The author illustrates some Core Colors shown below and possible corresponding attributes. 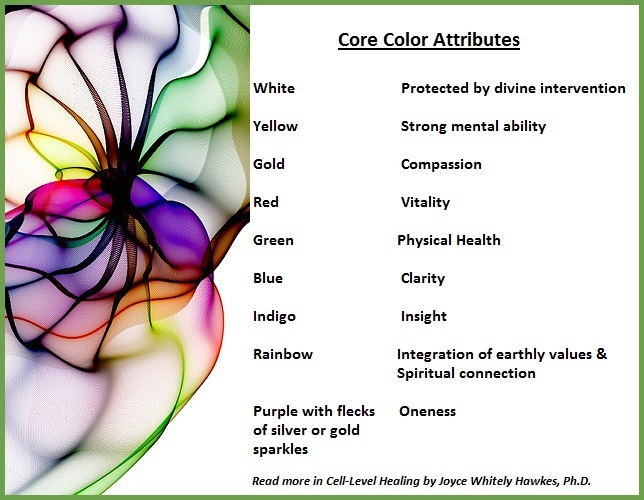 You may also find other interpretations regarding the healing qualities of the different colors. I have included several methods that the author suggests to use when wanting to identify your Core Color. It might be helpful to know that The Core Color is perceived as a cylinder of light above the full length of the spine. 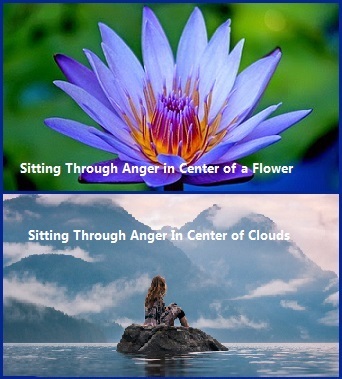 • During meditation, you may see a bright color inside your head. 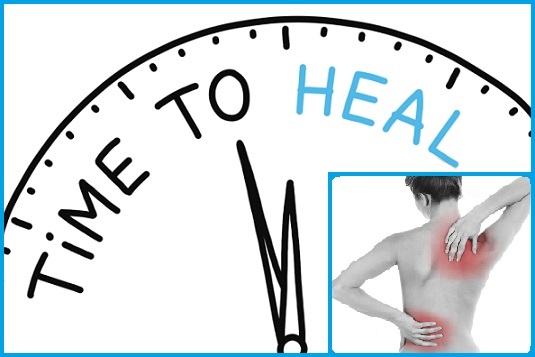 Deepen your meditation to focus on the inside of your body in the area just above the spine. If the color persists, you can work with is as your Core Color. 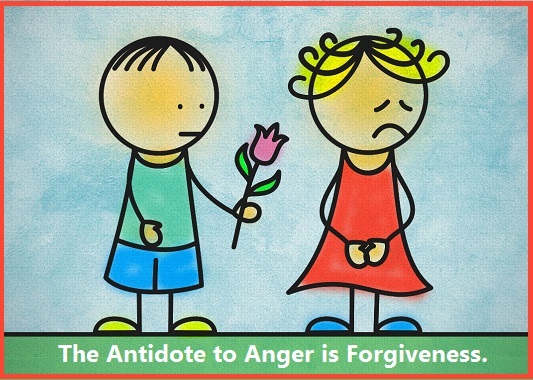 • At times, you may be flooded with compassion, clarity, or insight, or all of these qualities at once. If there is an accompanying color, the quality and the color will be linked vibrationally. 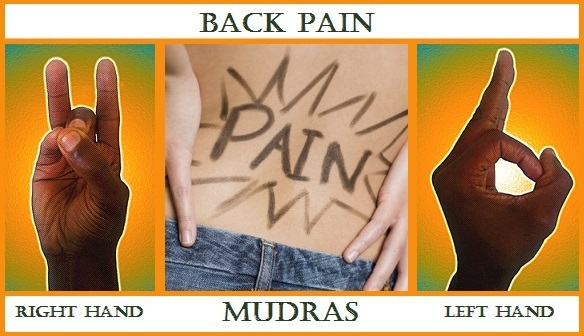 • Someone else may become aware of your Core Color (for example during a healing session). When you are in touch with your true Core Color, you will feel joyful, peaceful, and full of energy. 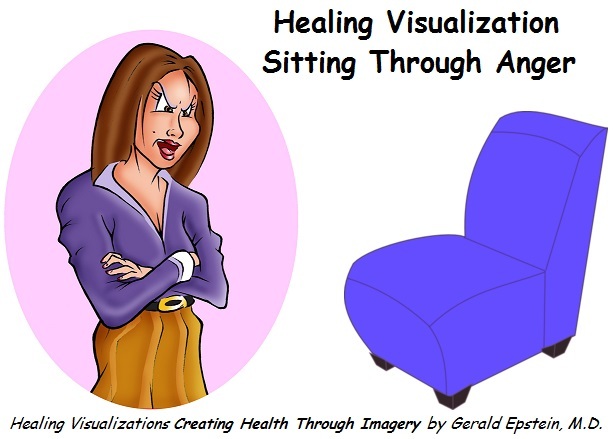 • You may want to construct your own chart and notice your personal relationship with color. 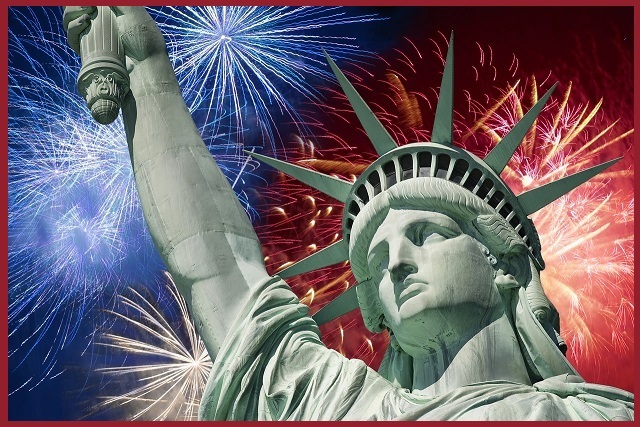 a gift of friendship from France to the U.S.
an historic landmark to its very core. never frowned, but kept on smiling.